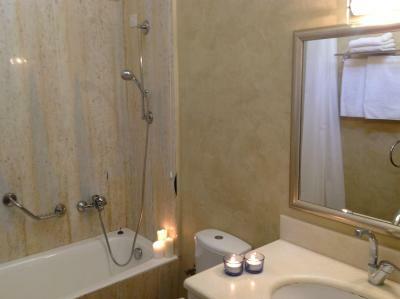 Lock in a great price for Aria Lito Mansion – rated 9.2 by recent guests! Lenexa at reception was so helpful. Mario was also great to. The breakfast was fantastic + the breakfast room. It's in a great location. The pool area and breakfast area were lovely. There were plenty of sun loungers to go around and we mostly had the pool and area to ourselves. It was very quiet and peaceful. The gentleman who served breakfast was lovely. I enjoyed the breakfast of pastries, fresh fruit and greek yoghurt but my partner would have preferred a wider selection. 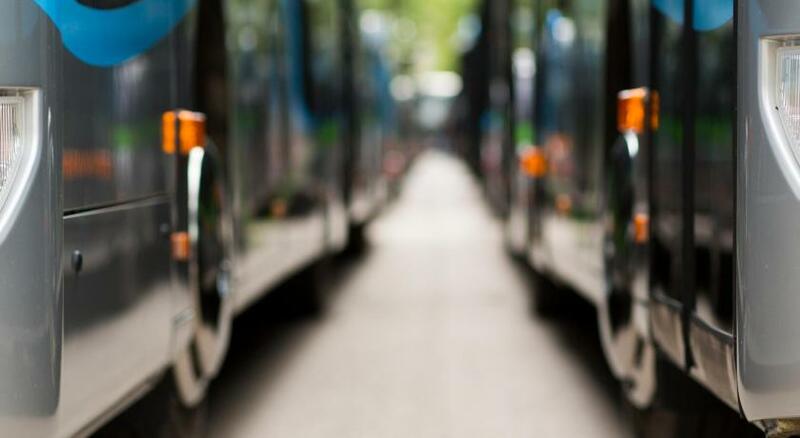 The room was clean and the staff were very friendly and accommodating. Special thanks to Ioanna who went out of her way to make arrangements at another hotel for my family members. The pool area and staff were absolutely amazing. The breakfast was in the cutest garden area and by far the best one we had on our trip. Aria Lito is an oasis right in the middle of Fira, room to relax in the garden or by the pool or in our cool and welcoming room. The staff were exceptionally helpful and really listened to us before giving advice, not just cookie cutter answers. I loved the historical building which has such character. This is a property full of character. The staff were helpful and it is right in the heart of the village. We had a comfortable couple of nights. A really good location, nice and clean hotel. Spacious rooms, nice little pool and good breakfast which they serve in your room or at a little garden outside the hotel. I really recommend this hotel. 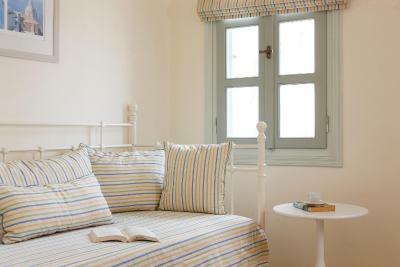 Beautiful quiet haven in the centre of Fira, perfect location. Helpful staff. Lovely rooms. Staff, location, property, breakfast... everything 10 out of 10. 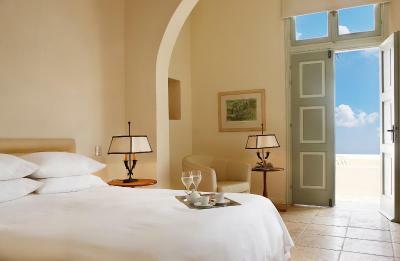 Centrally in Santorini's capital, Fira Town, this beautiful hotel offers travelers stylish accommodations in a peaceful setting. 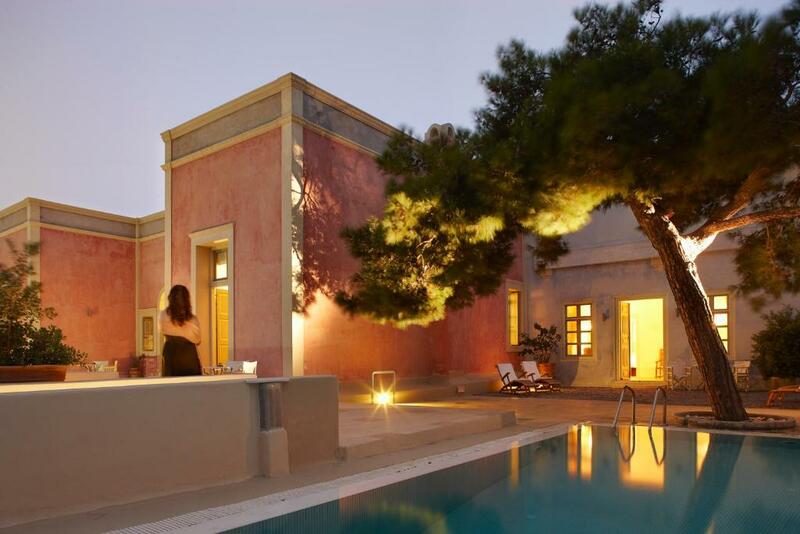 Aria Lito Mansion is built in the wonderful style of Cycladic mansions. 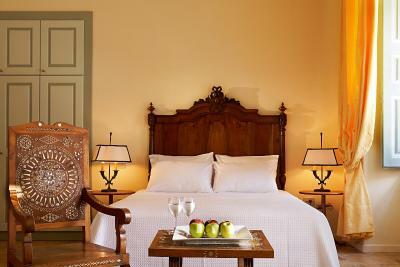 Beautifully restored, the mansion preserves its classical decoration, combined with all modern amenities. 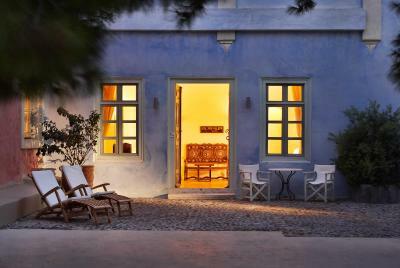 Resting at Aria Lito's quiet terraces, by the swimming pool or cozy garden, guests can witness the beauty of Fira town. 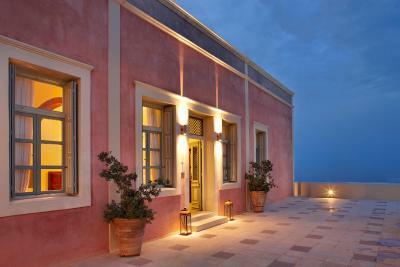 On the east wing of the hotel, Santorini can be admired as it slopes down to the Aegean Sea. 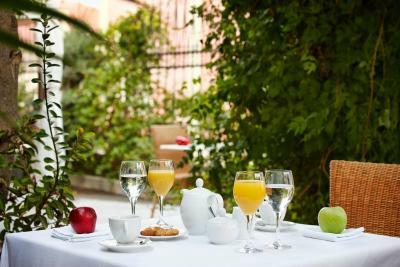 Guests may enjoy their breakfast in their high ceiling rooms and suites, decorated with taste and simplicity in accordance to the special character of this Mansion. The stylish rooms contain modern comforts. The location has a sense of refined luxury with a peaceful atmosphere, even though the hotel is close to the lively center of Fira, with the most renowned restaurants. Guests may enjoy leisurely walks around the old quarter of Fira or take boat excursions to the volcano island of Nea Kameni and the hot springs of Palia Kameni around Thirassia. When would you like to stay at Aria Lito Mansion? Spacious suite with living room with artworks, wooden furniture and a shared terrace with breakfast table. Features a bedroom and a patio with breakfast table. Features a bedroom, dining area with sofa bed and shared terrace with breakfast table. Features a bedroom, small sitting area and shared terrace with breakfast table. House Rules Aria Lito Mansion takes special requests – add in the next step! Aria Lito Mansion accepts these cards and reserves the right to temporarily hold an amount prior to arrival. Bath/ shower a little difficult to get in and out of. If anything I would say wifi doesnt work properly. I would have wished our room would have had some more natural light. 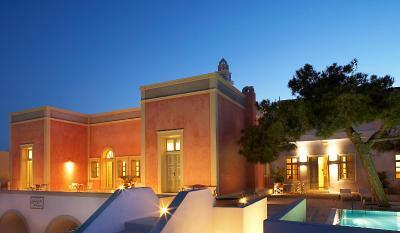 Overall its a great choice in the middle of Thira! Its in a great location. You enter the streets directly from the back of the hotel’s patio. The hotel despite being so central is quiet because there is a patio all around the hotel. Good pool (shame that is only sunny during the morning) and good enough breakfast with a couple of cats around :) the room was really big, comfy and big bed. There was as well a fridge and a sink which came in handy. They provide towels for pool & beach. Staff members really friendly and helpful. Please note. The accommodation does not have views of the cladera. 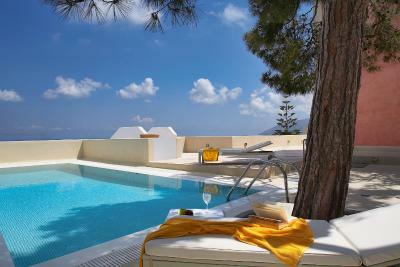 However, the room sizes are generally far bigger than most of the hotels located on the Caldera. The room we were given was lovely, spacious and quite comfortable. The manager was very accommodating, polite and eager to help. Maybe a second courtesy bottle of water, but overall the staff was generous and thoughtful. The house itself is beautiful, and given the neighborhood, a quiet alcove. The garden is welcoming and atmospheric, great for breakfast but also for a shady read later in the day. Liza at front desk . A credit to the hotel and went out of her way to make us welcome , book an amazing restaurant and also assist us to pay for the hotel , give the cc facilities were not functioning ! Perfect place for us. A peaceful haven in a beautiful but busy town. Steps to all the action. 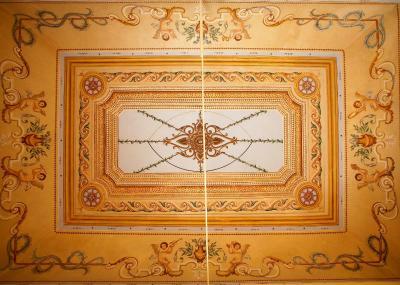 Wonderful spacious queen suite with fresco on the ceiling. Slept so soundly. Lovely pool area with comfortable loungers and natural shade from a beautiful tree. Service was friendly and efficient. Just lovely and far better for us than the rooms on the caldera which we would have found claustrophobic. We had views whenever we went out and valued returning to this serene retreat. Just great!